Over the years I have used both paid and free project management systems of all types. They all have the same issues: missing features and repetitive workflow. In the programming world if something is repetitive, one should be able to write code to remove it. A Common workflow for project management. Create an invoice when the quote is accepted. Why should I have to rewrite the same information from a quote into an invoice, and then have to repeat those items in a written task list? Easily convert an accepted quote to an invoice. Convert items from an invoice into tasks within a project. Assign tasks to specific milestones within the project planning process. 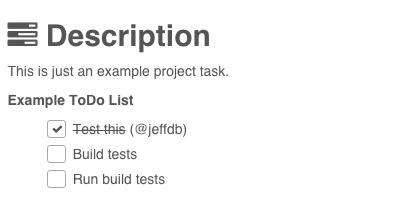 Also, there is no need for subtasks. Ajax ToDo’s! are embedded just about everywhere. Some of my favorite time-saving buttons in e(Project). I realize I am a little bias about this system, but I am loving it. Clone button to create copy of invoice, task, note. etc.. The last, clone the invoice row. These powerful buttons make project management so much easier, and we are just getting started. You can see an in-depth view of the system on the Features page.